Nonprofit leaders are seeing how enterprise-level tech can amplify social impact. See how creative financing can make world-class tech affordable. Non-profit organizations around the world often have a love-hate relationship with technology. Business leaders can see the value of enterprise-level software for effectively driving their organization forward, but tight budgets can make it exceptionally difficult to justify a large investment in technology. Whether it’s websites, social media, email, driving search results or business process optimization, there are any number of ways that not-for-profit entities can leverage technology to drive growth — which in turn results in an enhanced social impact. However, funding these technology initiatives requires some creative financial structuring. Creating the nonprofit of the future involves strengthening internal management capabilities, with the majority of nonprofits finding success when they’re able to get outside their walls and effectively engage the public with their mission. Not-for-profit organizations define success differently; instead of sales growth, the metric to shoot for could be the number of individuals or families supported or gallons of fresh water provided to a specific locale. High-impact nonprofits have learned that smart technology is critical to their success, and are becoming creative at determining how best to approach these in-depth projects. From inspiring evangelists by creating a high-performance social media network to organizing thousands of conversations with networking software, nonprofits are finding ways to leverage technology to create community and grow from a grassroots level. Sometimes this technology is very cost-effective, but customized computing requirements often mean that not-for-profits have all the challenges and complexities of an enterprise-sized organization with only a small fraction of the budget. Today’s technology integrations require a high level of complexity and personalization, and managers in the nonprofit sector may struggle to balance support of an aging infrastructure with pushing the envelope towards the most impactful technology options available in the marketplace. Many technology leaders have found that by outsourcing ongoing, low-level technology tasks their teams are able to focus more of their energy on solving business challenges creatively and in a way that will help the organization to continue to grow their impact on the world. As nonprofits scale up their digital operations, it’s likely that services that have been managed internally — such as website hosting, Exchange servers or email hosting and server upgrades — may be falling by the wayside and causing operational challenges that reduce overall organizational efficiency. When this happens, the impact may be much greater on a lean-running not-for-profit than in a corporation, where there’s likely more redundancy. While many nonprofits start with a shoestring budget, technology needs and budgets grow as the organization scales. However, technology investments can often be a difficult sale — especially when an organization is actively looking for ways to grow services to the community. Nonprofit technology leaders need to be able to make the pitch that the tech investment will support and further the overall mission of the organization. One of the best ways to do this is by quantifying the opportunity cost of not making the technology investment: fewer potential donors reached, reduced organizational effectiveness, or operational inefficiencies that can be resolved through smart tech investments. Budgeting within the nonprofit sector can be quite challenging, too. Once the decision has been made to go in a specific direction, then the dance for funding begins. Is there a small budget surplus that allows for a one-time purchase, or is the operational budget strong enough to support ongoing services and maintenance fees? When IT leaders work closely with vendor partners to define which investments provide the greatest ongoing value to the organization, it’s often possible to avoid nasty financial surprises. It’s critical to the success of nonprofits to form long-term partnerships in the technology sector with organizations that can provide best-practices and be a true partner in the drive to take advantage of the latest tech advances. While working with a managed service provider is not a new concept, nonprofits have not historically moved in this direction. However, as long-term budgets tighten and leaders clamor for new tools to drive social change, managed service providers are becoming even more attractive to not-for-profit organizations. The rapid pace of technology change can stretch even the most well-staffed organization, and nonprofits have a long history of under-investing in infrastructure costs. Having a collaboration partner allows nonprofit managers the ability to essentially rent technology, providing for quicker upgrades and the ability to be more nimble in their business moves. Managed service providers are able to quickly scale to meet business demands, with real-time monitoring and security that can provide immediate alerts and a higher level of cybersecurity support. As businesses shift towards the flexibility of allowing employees to BYOD, it is even more important that end-to-end security solutions are available. Finally, the fixed price for technology management allows nonprofits to budget more effectively on an ongoing basis while still having the benefit of regularly-scheduled upgrades for security and functionality that are critical to their success. Quick access to a team of professionals in the event of a physical or cyber emergency, as well as the easy availability of backups, means nonprofits are able to focus on their core competencies instead of on day-to-day technical operations. 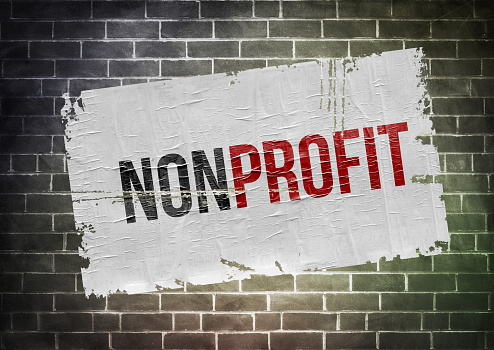 Advances in technology offer nonprofits the ability to further their mission; while the managed services sector provides an implementation and ongoing maintenance model that truly works with their flow of business. From cybersecurity to data storage and hosting, finding the ideal mix of services allows your not-for-profit technology leadership to focus on future advances instead of dealing with daily infrastructure challenges that take time and focus away from your core business needs. Contact Access Systems today at (865) 524-5522 or via email to ask@1access.com. Our Knoxville professionals will work with you to define the ideal balance that will provide your organization with the technology you need to be successful while creating a budget that will work for business leaders.